All Hornbrook homes currently listed for sale in Hornbrook as of 04/19/2019 are shown below. You can change the search criteria at any time by pressing the 'Change Search' button below. If you have any questions or you would like more information about any Hornbrook homes for sale or other Hornbrook real estate, please contact us and one of our knowledgeable Hornbrook REALTORS® would be pleased to assist you. "BEAUTIFUL - 2016 Palm Harbor Manuf. Home on permanent 433 Foundation w/full cement pour underneath on 2.18 acres! This 2bdr.+Den/2bath home has approx. 1,512 sq.ft., vaulted ceilings, Forced Air Propane Heating & Central Cooling, Fireplace w/tile edges, Great Room concept w/custom kitchen, stainless steel appliances, pantry & MUCH MORE!! GORGEOUS views of the mountains & surrounding area, including Mt. Shasta & is approx. 20 - 25 minutes to Oregon! Also included is a 30' x 40' metal shop w/large roll-up door & cement foundation!! Owner has just finished adding a $5,000 Water Softening System to well also. Looking to get away from the hustle & bustle & have a FANTASTIC view while maintaining close proximity to major areas? THIS IS IT!! CALL TODAY! NOTE: The accuracy of the information provided is deemed reliable but is not guaranteed, is subject to change and should be independently verified." "PRICED TO SELL!! BRAND NEW ROOF AS OF February 2019!! Much loved & well maintained 3bdr/2bath Manufactured home on permanent foundation w/gorgeous views & enormous deck. This beauty has vinyl plank & vinyl flooring, vinyl double pane windows & baseboards. Kitchen has electric appliances w/lots of storage & counter space. Split floor plan w/large living room & plenty of natural light. Over sized detached 2-car garage with attached wood shop. Large storage shed, covered storage for animals or hay, in addition to 2 fenced areas for large & small animals. Over an acre is flat, with several usable acres that are sloped w/trees. Tons of parking for toys, RV space w/electric, water & sewage dump. Stunning HOA w/plenty of river frontage for swimming, bbq's, & games! Enjoy beautiful views, swimming, your animals & privacy all on 4.83 acres! Approx. 20 minutes to Ashland-Oregon, Yreka & MUCH MORE!! NOTE: The accuracy of the information provided is deemed reliable but is not guaranteed, is subject to change and should be independently verified. Some photos are not of subject property; however, representative of community amenities." 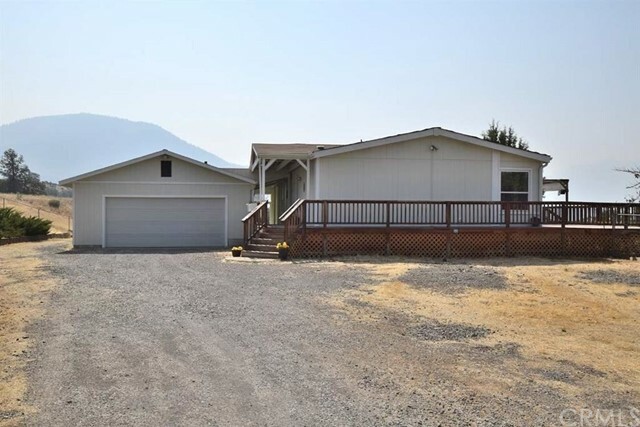 "This home is perfect for anyone looking to find their piece of Siskiyou. A manufactured home with no 433. The detached garage has a large finished room with heat, just perfect for an office, guests, or a game room. 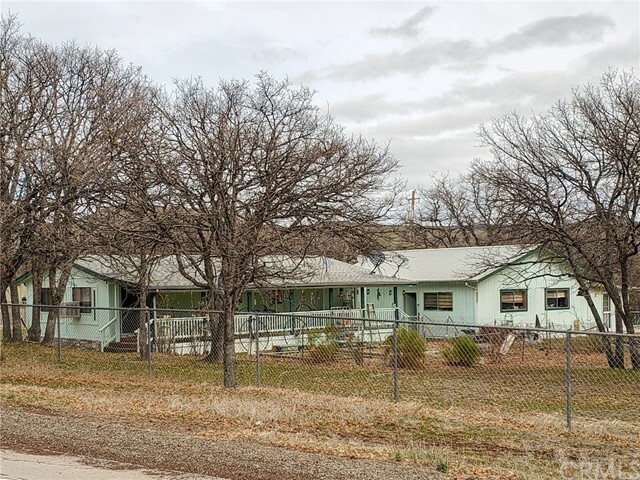 With a full acre completely fenced and cross fenced, a nice back yard, fenced garden area and a lovely covered deck, the possibilities for this home are endless! 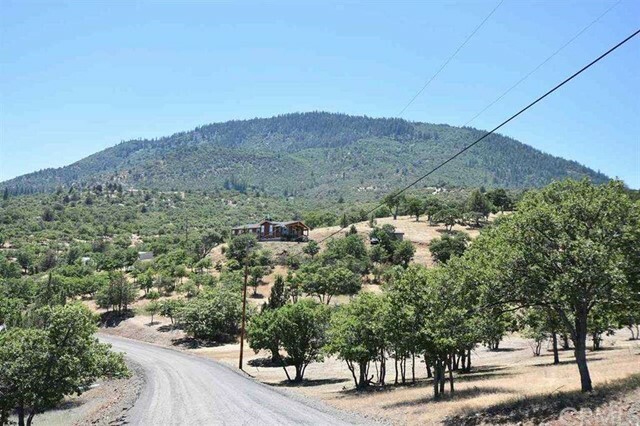 Located close to I-5 making it easy to get on the road for a short drive to Yreka or Ashland!"